1. Cambridge (7-0; Last Ranking – 1): Falcons had little trouble with Newton South to extend their winning streak over in-state competition. Up next is a clash with 7-1 Weston this Tuesday. 2. BC High (8-0; Last Ranking – 2): The Eagles survived a Top 5 clash with a 58-55 win over Mansfield, then pasted Charlestown on the road for their eighth win of the season. 3. New Mission (4-3; Last Ranking – 4): Another program that is riding a lengthy winning streak against Massachusetts opponents, New Mission hung on to defeat their archrival Brighton, 78-70, at Madison Park last Friday. 4. Mansfield (6-1; Last Ranking – 3): While they fell short in a tough road test at BC High, the Hornets certainly proved that they compete with anyone in any environment. 5. Everett (6-0; Last Ranking – 6): Head coach John DiBiasio will have to keep his team focused with upset-minded Malden and Somerville on tap, as the Crimson Tide prepare for a showdown with New Mission on Martin Luther King Jr. Day. 6. Newton North (5-1; Last Ranking – 7): The Tigers overcame a slow start to defeat Framingham and earn head coach Paul Connolly his 300th career win. 7. Catholic Memorial (6-1; Last Ranking – 8): One of the longest home winning streaks in the state nearly came to an end with Franklin visiting CM last Tuesday, but Ulyen Coleman came up huge late to give the Knights a narrow 58-57 victory. 8. Brighton (3-2; Last Ranking – 5): It seemed as though the Bengals had New Mission right where they wanted them, but the Titans found a way to pull away late as they so often do to frustrate their rivals. 9. Franklin (6-2; Last Ranking – 10): Losing by one point at Catholic Memorial without the services of top prospect Connor Peterson proves that these Panthers have the necessary depth to make a run at a D1 State Title. 10. Needham (6-1; Last Ranking – 12): The Rockets continued to gel during their six-game winnings streak, as they defeated Braintree handily on the road last Friday. 11. Central Catholic (4-0; Last Ranking – 14): A highly anticipated showdown at Lowell was postponed and the Red Raiders lost at Haverhill a few days later to make Central Catholic the sole undefeated team in the Merrimack Valley Conference Large Division. 12. 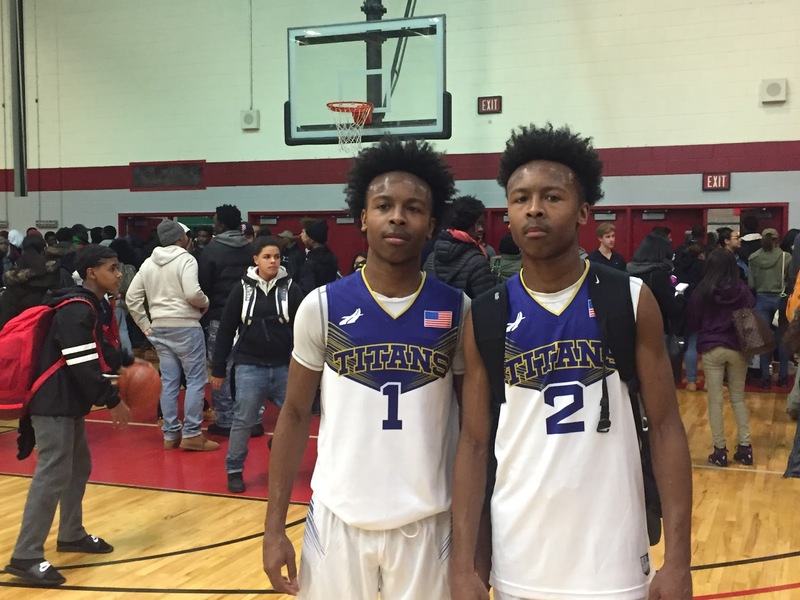 St. John’s Prep (5-1; Last Ranking – 23): A huge 72-71 win over conference rival Malden Catholic might just be what the young Eagles needed to jumpstart their season. 13. Malden Catholic (6-1; Last Ranking – 9): Lancers lost a heartbreaker to St. John’s Prep, but quickly bounced back with a 65-60 win over Cardinal Spellman at TD Garden on Sunday. 14. Attleboro (8-0; Last Ranking – NA): With a keynote win over a dangerous King Philip squad, the Bombadiers debut very high in our weekly rankings. They’ll look to justify that status with a tough road game coming up at Mansfield. 15. Springfield Central (5-0; Last Ranking – 16): The Golden Eagles continued to dominate the competition out west with two separate wins over Northampton and East Longmeadow by 21 points. 16. Nashoba (7-0; Last Ranking – 17): Chieftans survived a 44-40 rock fight with Wachusett and remain undefeated heading into a huge meeting with Marlboro this Tuesday. 17. St. John’s (Shrewsbury) (7-2; Last Ranking – 18): Pioneers have won four in a row and made Bob Foley the winningest coach in New England history in the process. 18. Boston Cathedral (7-2; Last Ranking – 22): Calvin Cheek and his talented teammates are clicking, as the Panthers became the first team to knock off Dorchester last Friday. 19. Metheun (6-1; Last Ranking – 21): Rangers got their revenge over Andover with a 76-74 home win and defeated Lawrence for their third conference victory. 20. Lowell (5-1; Last Ranking – 13): Stunned in a tough road environment by Haverhill, the Red Raiders will look to regroup beginning with a home game against Billerica next Friday. 21. Brookline (5-1; Last Ranking – 11): The Warriors showed their youth with a lackluster performance at Newton North and barely hung on to defeat Weymouth, 75-72, last Friday. 22. Marlborough (5-2; Last Ranking – 15): Opponents are simply fired up to face Chris Doherty and the Panthers, and until they match that intensity, this team will have a tough time earning victories. 23. Arlington (5-0; Last Ranking – NA): With wins over Somerville and Belmont at home, the Spy Ponders continued to prove that they’re one of the toughest teams to beat on their own floor. 24. Bridgewater-Raynham (6-1; Last Ranking – NA): Trojans have won three in a row since dropping a one-point heartbreaker to King Philip, defeating Braintree, Brockton and Dartmouth impressively. 25. Hanover (7-1; Last Ranking – 25): Indians continued to roll with a blowout win at North Quincy.